Conditioning before pads, Joey in black. August brings football to our household. Tony conditions and weight lifts all summer with his teammates, Joey starts to get ready right before the season starts. 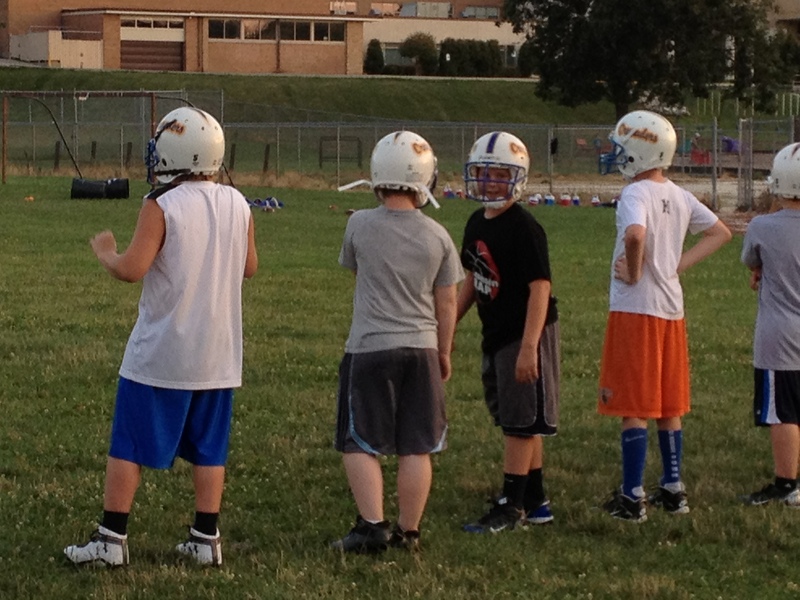 August 1st, Joey reports for his first practice, with helmet on. August 7th Tony’s “official” season begins. We ordered Tony’s new football helmet from the Riddell Rep 2 weeks ago, it arrived last week while he was on vacation with my sister’s family. Yes, he called us to see how his helmet was doing, I suppose if you are going to be starting as the Varsity Center, and are only 15 yrs old, you want to have a pretty good relationship with your helmet. We decided to purchase his helmet because although the high school does provide helmets to all players, we wanted to get the newest, most improved model, with the screws off to the side, apparently the screws in the front can add to the possibility of concussion. See how much I know about helmets, pretty impressive. Actually, my only connection to the helmet was to pick it up when it came in. We are looking forward to going to the boys games, Joey on Saturday mornings, Tony on Friday nights. We’re also excited to watch our home teams play, the Packer’s, Badger’s and this year we’re adding the Saints to our list of teams. 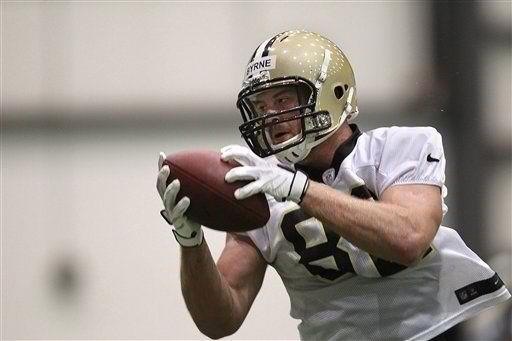 Joey’s friend and mentor Jake Bryne is now playing for the New Orleans Saints! He is playing with his Wisconsin Badger # 82, and looks awesome in his new uniform. There is a possibility that Joey may not have played football if Jake wouldn’t have been so kind and caring as to email him back and give him the confidence that it takes to put on a uniform, and play a sport like football, all the while thinking about your blood sugars and how to control them during the game. Not to mention that he had to convince me that it was okay for Joey to follow his dreams, even with Type 1 Diabetes. Jake was diagnosed in high school, went on to play for the WI Badgers and now he is a New Orleans Saint. We are so happy for him, and his family. I have become friends with his Mom, who is wonderful too. She couldn’t be prouder of her son. Unless you have type 1, or someone close to you has it, you really can’t imagine what all the fuss is about, but we know, which makes it all the more special to see Jake full-fulling his dream of playing professional football, an inspiration to us all.